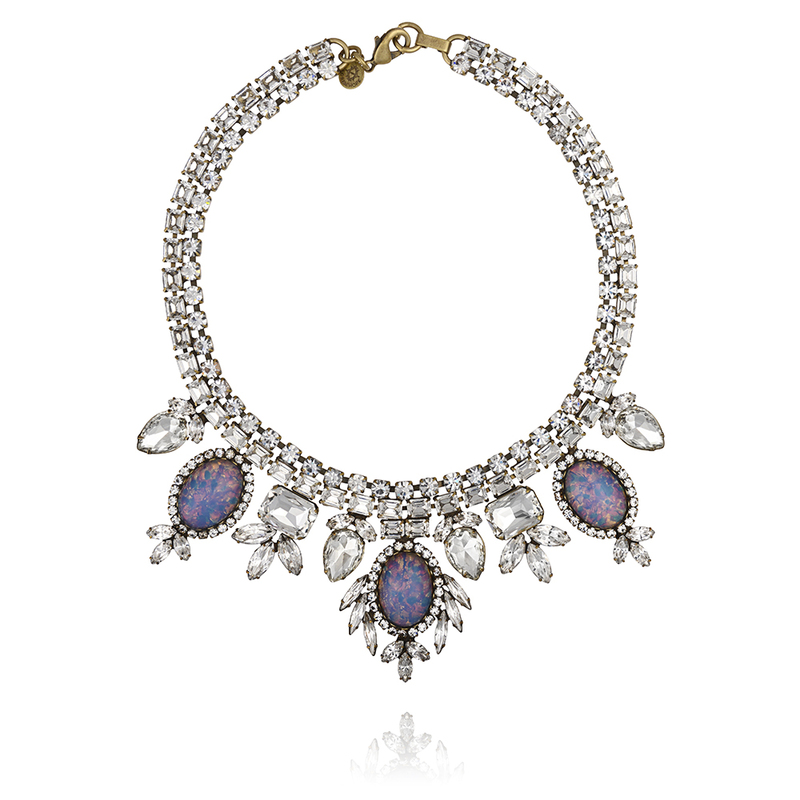 Loren Hope - Lyra Necklace here. If there was ever one thing missing off the rental market then it was definitely somewhere to rent Jewellery, in comes The Folly Boutique and that's all changed, whether it's for a fancy do or something more casual there's a statement piece for everyone. The Folly Boutique is dedicated to designer statement pieces and costume jewellery, though some pieces are expensive the great thing about The Folly Boutique is not only can you buy their fabulous jewellery, but also rent for a fraction of the retail cost for 3 or even 6 days, giving you the opportunity to try the most extravagant, beautiful, statement jewellery and not break the bank. 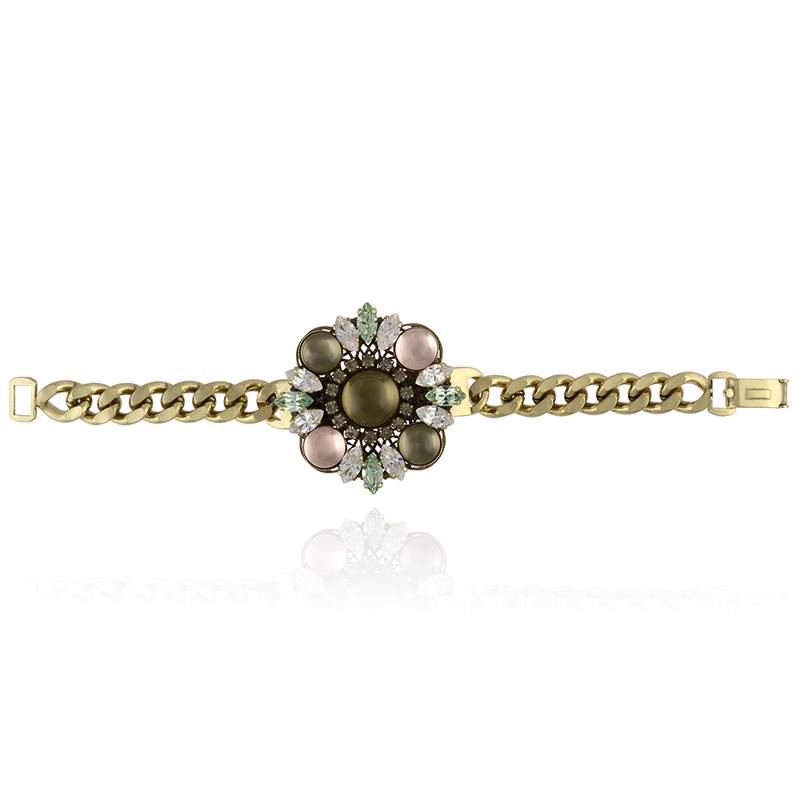 Anton Heunis - Floral Crystal Bracelet here. Your rental piece will arrive in the post on the morning you chose to rent and once used and enjoyed, you pop it in a prepaid returns bag and post it back - it's really that simple. I love this. 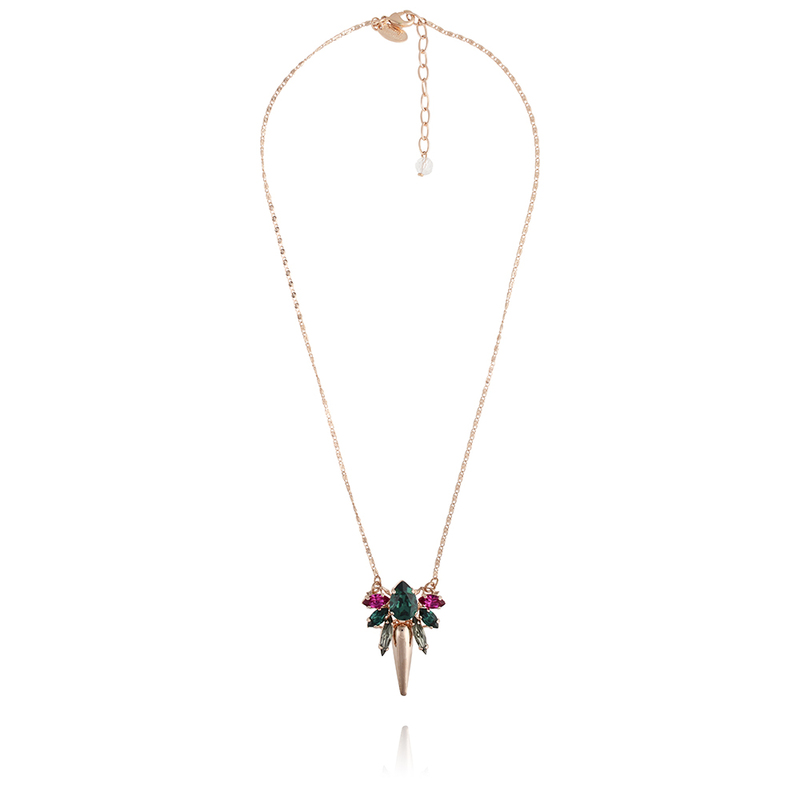 Anton Heunis - Crystal Cluster Spike Pendant here. 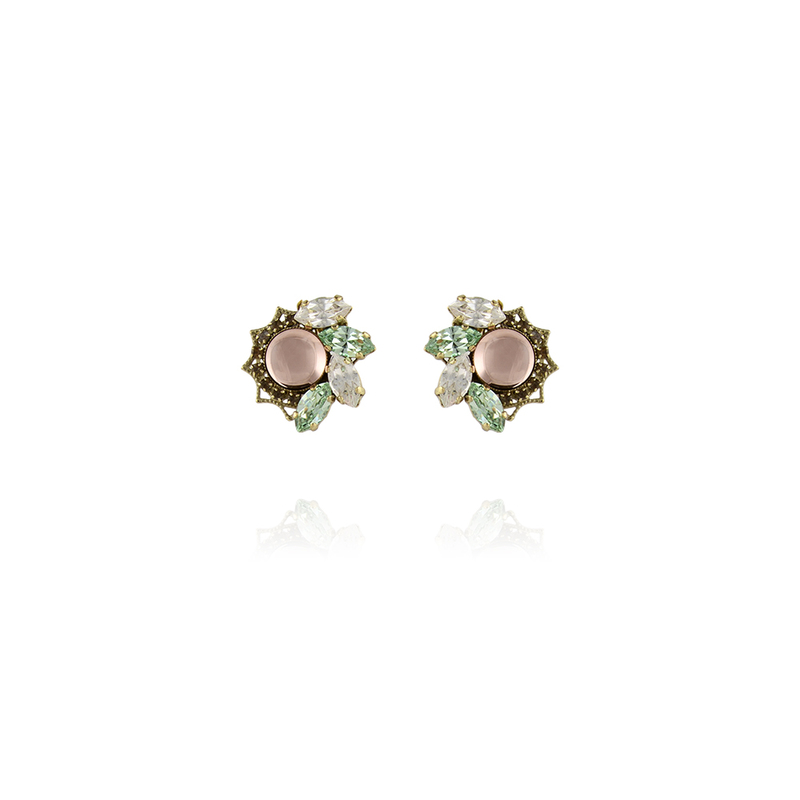 Anton Heunis - Small Crystal Cluster Earrings here. One of the things I love about The Folly Boutique (despite their amazing jewellery) is the genuine help they want to give to new and upcoming designers, giving them the chance to build a platform and go on to work with top brands in the industry. Anton Heunis - Small Crystal Pendant here. Assad Mounser - Ginger Collar Necklace in pink/orange here. As you can see there is something for everyone, chunky statement pieces, jewellery for weddings or pieces you can wear casually that could also work at galas or a ball. The attention to detail on each piece is astounding and I found myself drawn to Anton Heunis work - who definitely has good taste, with the designs being right up my street. Not all pieces are for rental due to the nature of them but majority are, I'm pretty sure you'll be impressed, I know I certainly am. This is a great idea for woman to feel a million dollars without breaking the bank and being able to try statement jewellery that they might not necessarily be able to afford. The Folly Boutique have very kindly given me a 10% off code for my readers, just enter BRITISHSPARKLE10 at the checkout for the discount to be applied. Shop here. What are your thoughts on The Folly Boutique? I was emailed regarding, writing a feature on The Folly Boutique, however I haven't been paid to do so but will be getting a rental piece in the future to review. Argh, I accidentally removed this. The first one is very pretty! 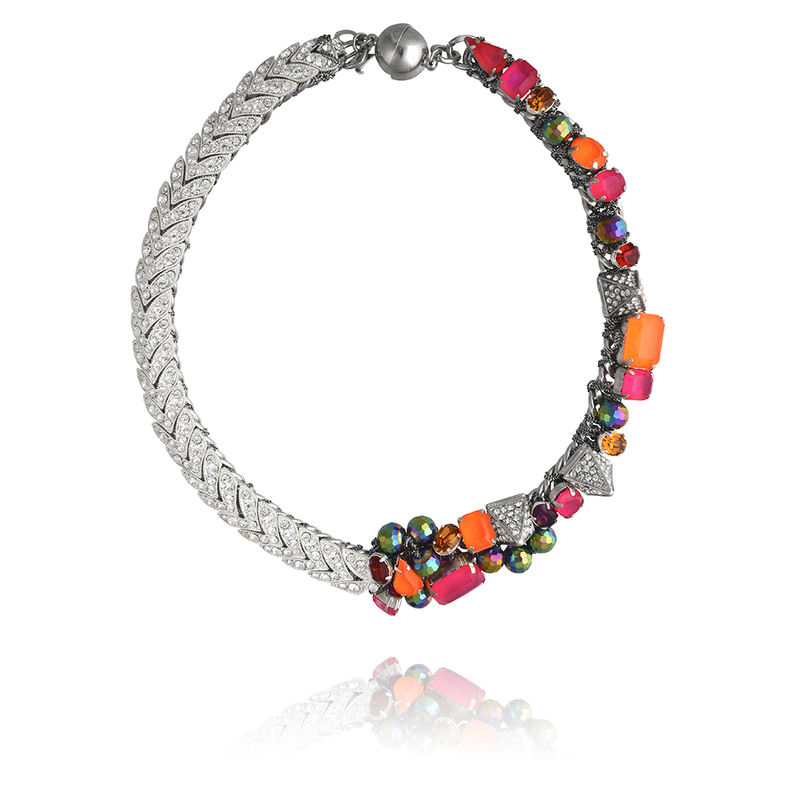 Very pretty pieces, you can tell a lot of thought has gone into the details, xoxo.